Home About Universe Astronomy Gallery Info Missions Physics Technology Videos Watch NASA Test Its Rocket-Powered "Flying Saucer"
Watch NASA Test Its Rocket-Powered "Flying Saucer"
After arguing all of its strategic test launches previously this month, NASA has recently tried to release its Low Density Supersonic Decelerator (LDSD) from the brink of space. 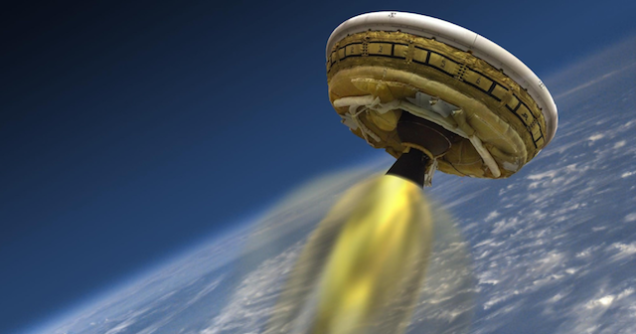 The rocket-powered, flying saucer–shaped landing vehicle will then come back to Earth on a affected path over Hawaii's skies. Watch all of it, here!